Today, DOIT is highlighting a great app that can be used to improve your mobile photography skills. DSLR cameras can be expensive and challenging to understand, but since mobile phone camera’s being able to produce such high-quality photos, they are the most accessible tool for many people. Start off by downloading the Lightroom CC app from the app store, and then you’re going to create an account. Once that is complete, you will be ready to get to editing. You’ll see a few options for different albums, account settings and so forth. By tapping on the bottom right options, you can either select a photo from your camera roll, or you can use the camera directly available on the app. When you tap into the camera icon, you get the native camera functionality with some added benefits. At the bottom of the screen, you see a few options when you tap on the carrot menu, which includes different settings such as automatic, professional and HDR. By using the professional setting, you get full control of settings like ISO, shutter speed, white balance and more. This gives you a sense of what using a DSLR camera is like, without spending the money on one. These manual controls make serious improvements to your pictures and give you better quality from the great cameras already on your phone. I hope you guys have enjoyed this feature of the Lightroom app, now it’s time to go out there and practice your skills! Hey, Bobcats! I hope you are finished settling into your new dorms and apartments. The first step to a successful semester is making your new home as comfortable as you can make it. The next step? Getting the tools you need to work efficiently throughout the semester. I’ve compiled a list of the best tools provided by the Division of Information Technology (DOIT). You’ll inevitably need to write a paper for a class. With Microsoft Office 365, you gain access to a plethora of Microsoft software that will help you produce high-quality work. 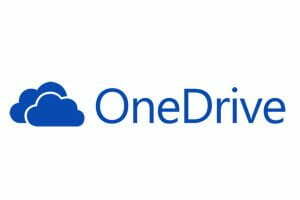 Nearly 20 apps are available, like PowerPoint, OneDrive, Word, Excel, and OneNote. You can collaborate across apps and even access them anywhere you go through the Office 365 web client. Best of all, as a Texas State student, you have FREE access to the entire Office 365 suite! Are you into creating or editing, or do you want to learn how? Texas State offers the Adobe Creative suite to students at computer labs throughout campus. You get access to Photoshop, Premiere, Illustrator and much more. It’s a great way to immerse yourself in the creative tools that professional around the world use on a day-to-day basis. If you want to work off campus, Adobe offers its tools to students via the Creative Cloud for only $20 a month for one year. What’s best is that with the Creative Cloud, you can save projects on one computer and access them on another. What better way to stay up to date with everything Texas State then the app that’s all about it? 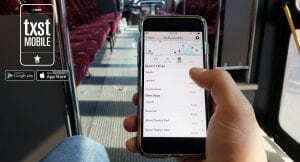 With txstMobile, the Texas State mobile app, you can get live bus routes, catch up with athletics, pay off student holds and check up on your courses! This personal companion will be sure to maximize your Texas State experience! Technology is constantly evolving, so it’s important to keep yourself protected. October is Cybersecurity Awareness month, and McAfee Antivirus software is provided for free to students and faculty using MacOS at Texas State. For Windows users, you can download the Windows Anti-Virus software to keep your hardware protected. To check out more information on McAfee, click here. If you find yourself needing help with your tech, the folks over at ITAC are your source for help. Visit their office in the MCS building or give them a call for software, hardware or even mobile device issues that you may be experiencing. To learn more, click here. Remember, DOIT offers students and faculty at Texas State over 150 different tech services. For a full list of our other services, check out the DOIT service website. This week’s featured DoIT tech service is Adobe Creative Cloud. Whether you like to draw, create videos, make websites, develop apps, or a little bit of everything, there’s a powerful tool in the Creative Cloud to help you get it done. The full Adobe CC software suite for is free for faculty and staff, including student employees. It’s also available for use in Texas State computer labs. Students can buy personal use subscriptions from Adobe using an education discount. 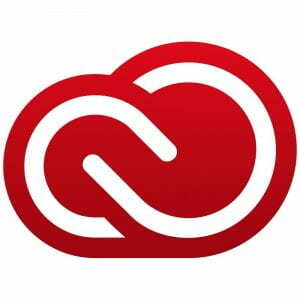 Learn more about using all the tools in the Creative Cloud on their YouTube Channel and their website. We know such a powerful tool can be intimidating so here’s a video from Adobe Creative Cloud TV to get you started with “10 Things Beginners Want to Know How to Do”. Texas State offers the full Adobe CC software suite for student use while on campus in Open Computer Labs. Subscriptions for personal use can be purchased from Adobe using an education discount. Learn more about using Photoshop on their YouTube channel and their website.